Joint Council 25 Chaplain Willie Brand led the executive board members through their oath of service. 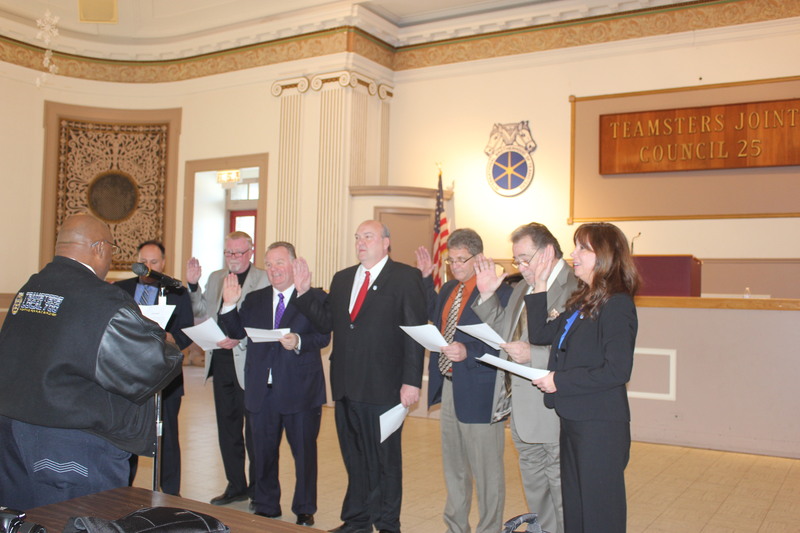 During a meeting of delegates on Jan. 12, 2016 at Teamster City, Local 700 President Becky Strzechowski was sworn into service as Trustee of the Joint Council 25 Executive Board. Joint Council 25 President John T. Coli and Strzechowski also serve as Teamsters International Vice Presidents for the Central Region. More than 100 Teamster delegates representing 27 local unions across Illinois and northwest Indiana re-elected the executive board on Nov. 3, 2015. 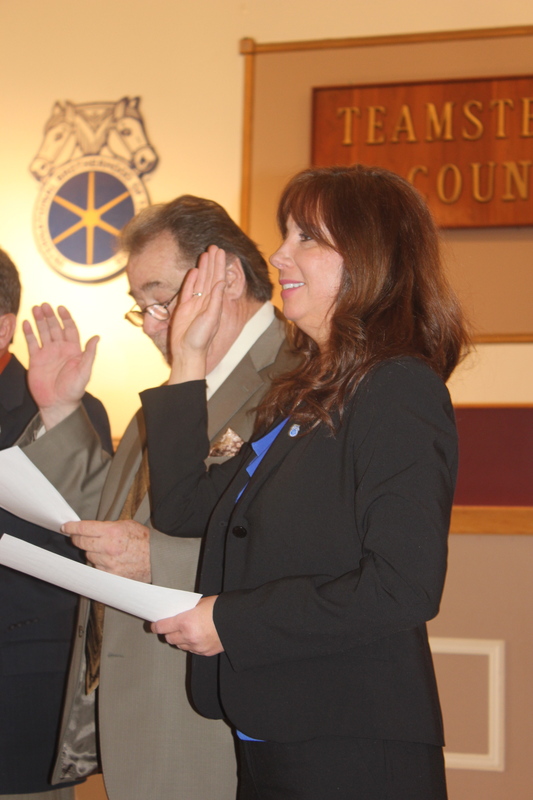 The entire board ran unopposed and began another four-year term on Jan. 1, 2016. President Coli praised the unity and perseverance of Joint Council 25 — one of the Teamsters Union’s strongest regional bodies and a thriving support system for more than 100,000 workers.